Mewtwo substitutes while Nidoqueen Flatters. Flatter 2 more times and mewtwo is a wreckage machine!! Double Kick takes care of Dark Types while toxic is there to poison those tanks. Mewtwo recovers when necessary, but mainly Mewtwo sweep with Flamethrower/Psychic, and Nidoqueen is there as a back up. Nuff said!! where has Dr. Double Duel gone?? That won't work. Not only does Focus Band work only 10% of the time, but Explosion always ignores Focus Band, and has been that way since GSC. I personaly tested it. Explosion ignores focus band. Unless You want to test it more that 20 times. Skill Swap on Shedinja while it uses Endure. Grudge and Toxic when you think it's safe. Attract on Males. Softboiled when/if injured. That is a I don'y want to face. Wonder Guard on it would make onlt fighting attacks work, and if you don't have a pkmn to counter you're as good as dead. WHERE THE HELL IS DR. DOUBLE DUEL!!!!!! He's busy, duh. Don't expect every member to be around most of the time. Can I suggest a few? So far these are unbeaten by everything i can think of. <p>Double Kick guards against Rock, and Crunch guards against Psychic. <p>Rain Dance activates Rain Dish and jacks up Thunder. Then, attack away! <p>Skarmory won't get hit by EQ or Sand Stream. AA also guards against Fighting, and Rock Slide guards against Fire. Blissey is as good as dead in 2vs2, mainly due to the popularity of Earthquake and Explosion, as well as the sudden surge of AeroPluff starting combos on most competitive 2vs2 teams on NB. Finally, Dr. Double Duel is back!!!!!!! Double annoyers. Both genders will attract everything attracted, and confuse ray is more accurate than sweet kiss. Heavy in defense to protect from a random EQ out of nowhere. I have a question about double battles. How long does Follow Me last? First Turn, Mewtwo Toxics, and Tyran Protects, just to see what moves the opponent is planning. You can either switch accordingly, or hit em hard with some well planned moves. Next Turn, Tyran Earthquakes and Mewtwo Protects for the same reason as Tyran. 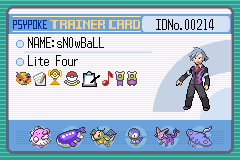 For the next few turns just have mewtwo Barrier, and Tyran Rock Slide. Next turn you do Mewtwo Protect and Tyran Quake. Keep alternating from these to combos . This combo can take out a good 2-4 pokemon depending on PP. How about an evil draining team? Evil. Meganium heals almost half of it's HP every turn. Mr. Mime is there for more tankage. My bad ahead off time if this doesn't work has been taken or just stinks. Well, we can work on that to make it work. We can change Vileplume for Exeggutor, since it can learn Poisonpowder, Sunny Day, AND Skill Swap. And since it's Exeggutor with the Skill Swap now, it can swap Traunt with the opponent, making it harder for it to attack. EDIT: No, Vileplume can't learn Skill Swap. That's why I changed it with Exeggutor. My first one, not too familiar with double battles. EVs: 252 Att; 252 Sp. Att; 6 Def. This is specificaly made for really fast battles, so the longer this battle goes on, the chance of you winning decreases. But here's the trick, these movesets get rid of ALL 17 TYPES. So, what do you think? Thats a good start, nice stratagy by the way. Dr. Double Duel is bound to add that to the HOF 2v2 Combo list.